The issue of showrooming is one that is becoming increasingly common for today's buyers and sellers. For those who aren't familiar with the term, `showrooming` is when a customer is in a physical shop, and, using portable devices such as smartphones, effectively shop around to see if they can find the same product at a lower price elsewhere. 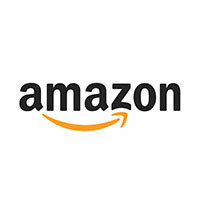 A growing number of shops are providing free internet access to their customers, and it is through this internet access that the Amazon technology can be used. The technology is designed to block information that as requested about products – but also could possibly be developed to have other functions. For example, it could be used to send messages to shop assistants advising them of what products you are looking at – giving them the chance to come and help a customer – maybe useful, but also potentially terrifying – knowing that the shop could be effectively `spying` on you. Another effective way that the technology can be used is that it could enable discount vouchers or promotions to be sent to a customer once they know what products are being looked at. The fact that a huge percentage of the population now has a smartphone means that the technology around them develops and evolves very fast. Any product which has a bar code can be scanned straight through to price comparison websites, giving the consumer all of the information that they need – including other shops which are selling the same products. The patent was first filed back in 2012 and it is unsure exactly why Amazon decided to develop this technology. It seems there are two options; the first and most likely is that they want to block other businesses from creating the same kind of technology, meaning that their customers will be able to price check on the Amazon website. The other option is that they had their ideas to open physical stores and were keen for their customers to not be able to price match whilst in their physical stores. There is of course a solution for those who are wanting to `showroom` and that is to not use the free wi-fi which is provided in a store, and use their 4G connection instead. This technology, however could possibly have a profound effect on how people do their shopping offline and perhaps steer consumers more towards online shopping.